Pop colour into your casual collection with this top. 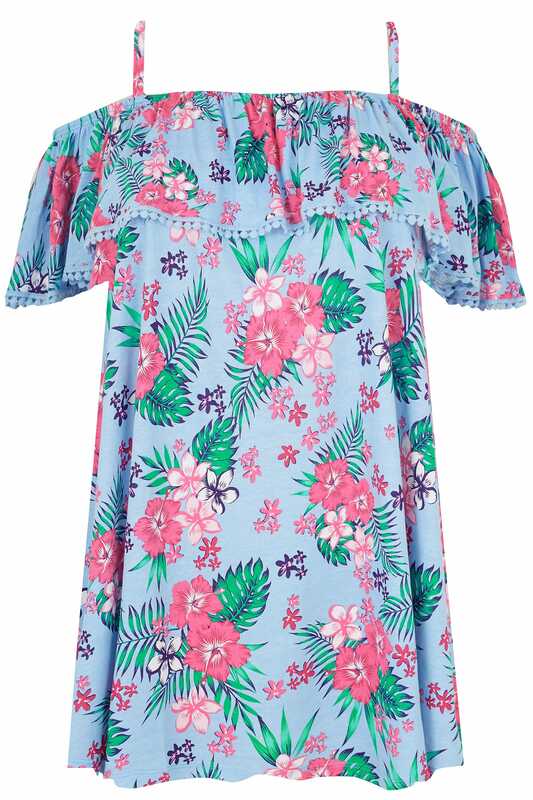 Comfortable in a jersey fabric, its Bardot style features frilled detailing and a crochet style trim. For effortless daytime appeal, team with washed denim and flats. 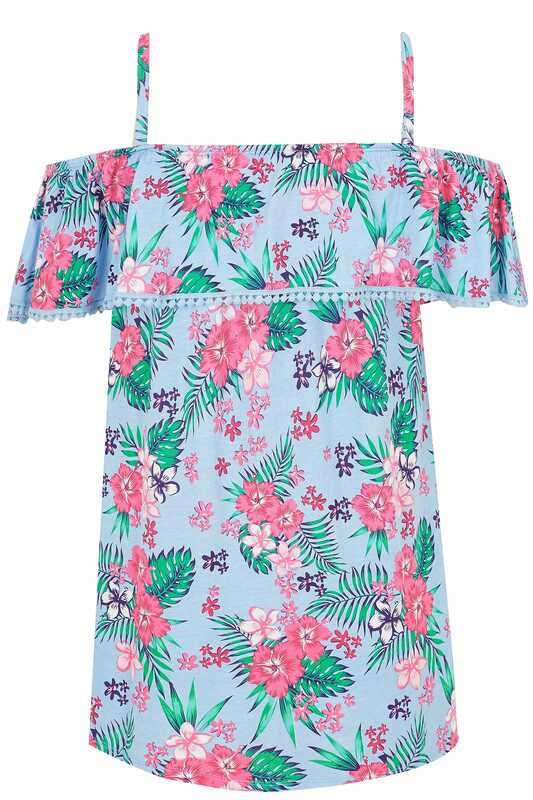 We love the bold tropical floral print in a variety of bright colours.